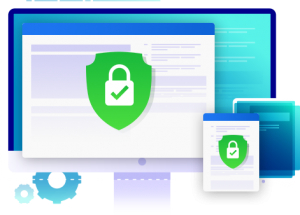 SSL Certificate (Secure Sockets Layer Certificate) is a digital certificate that authenticates the identity of a website and encrypts information sent to the server using SSL technology. It ensures the safety of your sensitive information and reduce the risk of data leakage. Dataplugs offers a range of SSL certificate for your website. The SSL certificates are verified and issued by Comodo, one of the world’s largest SSL certificate providers. It uses 128/256-bit encryption length and supports 99.9% browsers and mobile devices, providing the best protection for individuals, e-commerce, small and medium-sized enterprises and large enterprises. Suitable for unlimited sub-domains for the base domain. Subscribe our Web Hosting or SSD Hosting plan. Login to client area and click “View Available Addons”. Purchase SSL Certification for domain you own. Login to client area and click “View Available Addons” Purchase SSL Certification for domain you own. Need assistance? Feel free to call us at +852 3959 1888 or email to us. Below is a list of possible questions that may arise. If you can’t find the answer to your questions here, please do not hesitate to contact us. An SSL Certificate (Secure Sockets Layer) is a digital certificate that authenticates the identity of a website and encrypts information sent to the server using SSL technology. When installed on a web server, it activates the padlock and the https protocol and allows secure connections from a web server to a browser. Typically, SSL is used to secure credit card transactions, data transfer and logins. How can it protect my website? An SSL Certificate establishes an encrypted connection between a visitor’s browser and your website. By ensuring that all data passed between the two remains private and secure, SSL encryption prevents non-authorized parties from stealing sensitive data such as credit card information, data transfer and logins. How can I buy it from Dataplugs? First, you have to subscribe our web hosting or SSD hosting plan. After subscribing our hosting services, login to your account and purchase an SSL certificate as an add-on service in client area. Once we receive your order, we will install SSL Certification for your selected domain within 1-2 working day. You may also contact our sales and we will be happy to assist you. Once an SSL certificate has been purchased, installed, and is active on your website, visitors will be able to see a number of trusted signs that your site is secure. When visitors enter an SSL-protected page on your website, they will see a locked padlock and the “https” in their browser address bar. You will also have the option (recommended!) to add a security seal on your web pages. This seal will clearly communicate that your website has been verified and is secure. A visitor may click on this SSL seal to view the details and status of your website’s SSL certificate. Do I need a dedicated IP for an SSL certificate? No, a dedicated IP address is not required.